Four soldiers injured in explosion during training, two in serious condition. 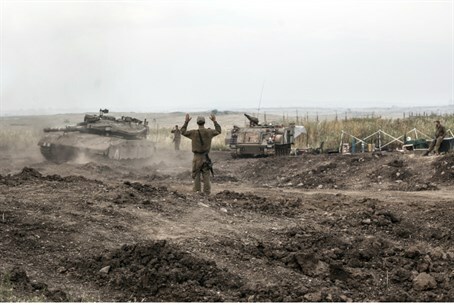 Four soldiers were injured in the Golan on Tuesday afternoon in what appears to have been a training accident. Their injuries were reportedly caused by an explosion in a tank during a drill. The IDF is investigating the accident. Two of the injured were evacuated to hospital in serious condition, and the other two are reportedly in moderate condition. In October a soldier was injured by a stray bullet from a gun in a Merkava tank. Just days earlier, two soldiers were injured when the tank they were in overturned during a routine training exercise. Soldiers have also been injured in recent attacks. In early October two soldiers serving in the Golan were injured by cross-border fire. Just three weeks later, five soldiers were wounded when Gaza terrorists set off a bomb as soldiers worked to destroy a terror tunnel leading from Gaza to the western Negev.